The Rotary Club of Wellington and the Ākina Foundation have joined forces for a second year to kick-start social enterprises in the Wellington region by providing $10,000 in cash to promising start-ups. Ākina Foundation Chief Executive Alex Hannant welcomed the return. “Last year was the first time we partnered with Rotary, starting here in Wellington, New Zealand’s oldest Rotary Club. Since then, we’ve also run a similar kick-start with Rotary Newmarket in Auckland. It’s fantastic to see the original supporters of some of New Zealand’s most valued social causes embracing the new generation of social entrepreneurs coming through,” said Mr Hannant. Rotary is providing $7,000 for the top venture with $3,000 for the first runner-up. Jo Randerson, representing Vogelmorn Community Club, last year’s winners, said they were well underway with their plans to convert the old bowling club’s kitchen into a community-use commercial kitchen, with a launch scheduled for Spring. “It really was about much more than just the money. Thanks to Rotary and Ākina for making this award possible and we encourage everyone with a dream to apply,” she said. The 2015 runner-up was Sew Good, a co-operative within the Community Unity Project Aotearoa. Sew Good received $3,000 to help empower people from vulnerable communities through the production of sewn garments and goods for gifting and sale. Rotary’s Vocational Committee Chair Andrew Miller said the benefit of entering was not only limited to those who won cash as members might also provide support. “We can open doors to our networks, provide advice on accessing markets and technical support plus we may offer mentoring,” said Mr Miller. In Auckland, the inaugural Rotary Newmarket winner was Resource Rescue, a group rescuing, restoring and reusing appliances and providing training pathways for employment. “Resource Rescue has already created three jobs in its first seven weeks of operating, with $11,000 revenue and saving 400 useful appliances from the landfill. This enterprise is making a real difference,” said Mr Hannant. “Last year we hoped our partnership would challenge other services groups to get in behind social enterprise as an innovative way to approach our complex social and environmental challenges and it’s already happening,” said Mr Hannant. To qualify for the kick-start, applicants must be resident in the Wellington region although their project may have a local, national or global impact. Applicants are required to submit a three-minute video along with a short online application form. 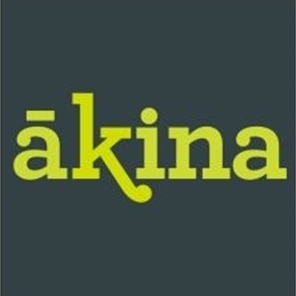 Applications for the Rotary Club of Wellington Social Enterprise Kick-start opens today (1 June) at the Ākina website, www.akina.org.nz/rotary and close on 31 July. The winner will be announced at a Rotary event on Monday 29 August, after a presentation of the shortlisted videos and a vote by Rotary members.